In the run up to the Taiwanese elections, the chances of unification with China look slimmer than ever. The Kuomintang’s fervently pro-Beijing candidate, Hung Hsiu-Chu, dubbed the ‘Sarah Palin’ of Taiwan, has exposed the factionalism and instability within the party and pushed public opinion further away from China. No matter how desperately China hankers for unification with Taiwan, a strong conviction that time is on its side has long trumped its temptation to use bullying tactics to force the outcome. Eventually, the Chinese thinking goes, the Taiwanese will come to the conclusion that their future lies in economic integration with the mainland, and that once the two economies are thoroughly enmeshed a political settlement will end an estrangement that has lasted since 1949, when the Kuomintang retreated to Taiwan after losing the civil war on the mainland. So while batteries of Chinese missiles still point toward the island, tranquility has reigned across the Taiwan Strait. Perhaps not for much longer, as Beijing’s strategy of waiting it out now seems to be in tatters. Presidential and legislative elections three months from now are likely to confirm that a drive by the Kuomintang under President Ma Ying-jeou for deeper economic engagement, far from encouraging public sentiment in favor of unification, is having the opposite effect. Popular attitudes toward China are actually hardening as economic convergence disproportionately benefits Taiwan businesses that have headed off to China at the expense of workers left behind. Among younger Taiwanese in particular, integration has bred despair as pay stagnates and property prices boom. Meanwhile, the Kuomintang itself, China’s former enemy and now its best hope for reaching a political deal, is self-destructing. It has picked a presidential candidate who is so pro-Beijing she’s unelectable. At the 11th hour, party elders are trying to dump Hung Hsiu-chu—dubbed Taiwan’s Sarah Palin for her outspokenness and polarizing views—and draft in Eric Chu, the party chairman and dynamic mayor of New Taipei City, who had earlier declined to run. But Mr. Chu has almost certainly left it too late to beat the front-runner, Tsai Ing-wen of the Democratic Progressive Party, though he might just be able to save the Kuomintang from losing control of the legislature for the first time. Even party insiders now fret about the Kuomintang’s future. The debacle over Ms. Hung’s candidacy has exposed an organization riven by factionalism. If it loses legislative control, the fear is that Ms. Tsai’s camp may strip it of assets worth hundreds of millions of dollars, a legacy of the days when it ran Taiwan as a single-party dictatorship. In putting its bets on its old adversary—with which it traditionally shared the belief in “One China” that includes Taiwan—Beijing has backed a loser, which leaves it with few options. Now, it faces the prospect of having to deal with a new Taiwan leader, Ms. Tsai, whose party attracts die-hard pro-independence supporters. Still, without an unambiguous declaration by Ms. Tsai that she accepts Beijing’s “One China” position, and with no prospect of cozy deal-making, it’s possible Beijing’s patience may snap and it will shift tack from conciliation to coercion to complete the Communist Party’s most important piece of unfinished business. That could mean anything from squeezing Taiwan’s already narrow international space—stealing away its dwindling number of diplomatic friends, for instance—to applying pressure on its fragile economy, perhaps by slowing the flow of mainland Chinese tourists. Or something far worse. China has never abandoned the option of using force to reunite what it regards as a rogue province with the mainland. The Chinese president likes to think he understands Taiwan; as a senior official in coastal provinces, Xi Jinping was on friendly terms with many Taiwan factory owners and investors. Maybe, speculates Mr. Chang, the former national-security adviser, Mr. Xi will persevere with the old strategy of forbearance but in a smarter way by reaching beyond the Kuomintang and the wealthy elites and engaging ordinary Taiwanese and small-business owners. That would require flexibility and imagination. So far, on every issue relating to China’s troubled periphery—Hong Kong, Tibet, Xinjiang [East Turkestan]—Mr. Xi has taken an uncompromising line, doubling down on hard-line policies that have stirred popular resentments against Beijing. An attack on Taiwan would be immensely risky; it would terrify China’s other Asian neighbours and potentially bring China into direct conflict with the U.S., Taiwan’s main military backer. The critical question, though, is whether the risks outweigh the danger to Mr. Xi if Taiwan appears to be drifting permanently away under his watch. No Chinese leader can afford to let that happen, and Mr. Xi has built his popularity around a muscular brand of nationalism that puts him under greater pressure to take action. As a political goal, unification is now a nonstarter in Taiwan. But Mr. Xi can’t wait forever. 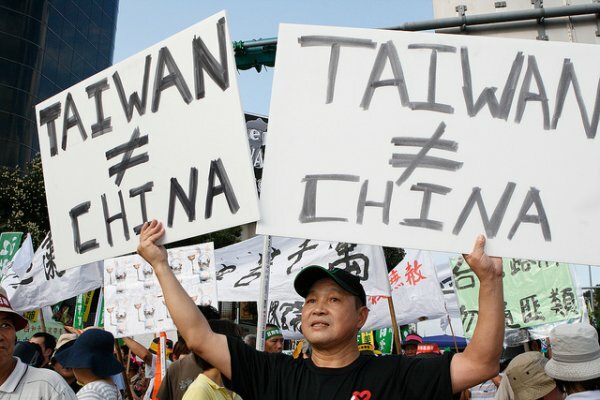 Compared with Taiwan, all the other island disputes in East Asia—including one that’s bubbling now over China’s artificial islands in the South China Sea—are a sideshow.